Gooey, buttery chocolate chip cookies aren’t the only keto cookies on our top 29 list. These Perfect Keto-approved cookies aren’t just delicious — they’re as good or better than the traditional cookie recipes you’re used to. Every recipe is perfectly sweet, low-carb, Paleo, and keto with dairy-free options as well. They’re so good, your friends and family won’t even know they’re sugar- and grain-free. Plus, you’ll learn five simple ingredient swaps to make any cookie more keto-friendly. The white flour, sugar, and other high-carb ingredients in most cookies will kick you out of keto. But, it may just take a few of the right substitutions to get you some keto cookies you enjoy. Processed wheat flour not only lacks nutrients, it’s also loaded with carbs. Just one cup of standard all-purpose flour contains 95g of carbs — and most cookie recipes call for multiple cups of flour[*]. That is way too high in carbs to be keto friendly. Plus, wheat-derived flours are also high in gluten — a compound that many people find themselves sensitive or allergic to. Here’s the good news: flours made from nuts, seeds, and coconut are lower in total carbs, higher in dietary fiber, contain nutrients like healthy fats, and don’t have any gluten. By swapping out wheat flour for low-carb, high-fat flour options, you’ll up the nutrient density (especially the fat and fiber) of your cookies and make them more keto-friendly. It doesn’t matter if you’re using white sugar, brown sugar, or sugar made from coconuts — they’ll all spike your blood sugar and insulin levels and kick you out of ketosis. In fact, one cup of white sugar contains 200g of carbohydrates, or a whole week’s worth of carbs on a keto diet[*]. Your brain also gets a rush of dopamine from sugar, which gives you the same euphoric feeling that makes you lose control and want 100 more cookies[*]. While you can turn to sugar alcohols and artificial sweeteners like Splenda (sucralose) for baking, many of these have unwanted side effects like bloating, gas, and diarrhea. These low-carb sugar substitutes allow you to enjoy one cookie without feeling tempted to gobble up the entire batch, or send your blood sugar levels on a rollercoaster. Another critical component in cookie recipes is fat. And even though fat consumption is encouraged on a keto diet, you might need to upgrade your fat sources. Many cookie recipes call for shortening, lard, or highly processed oils like canola, soybean, or vegetable oil to create a smooth consistency for your batter. These bad keto fats are terrible for your health and are linked to higher rates of inflammation, weight gain, heart disease, and even poor mental health. A word here about another “fat” you’ll find in many cookie recipes: peanut butter. Peanut butter binds ingredients and lends creaminess to your cookies just like oil, but it’s not an A-lister when it comes to healthy keto foods. There are many reasons to ditch peanut butter, from the added sugars to the hydrogenated oils (i.e., trans fat), to the aflatoxins. 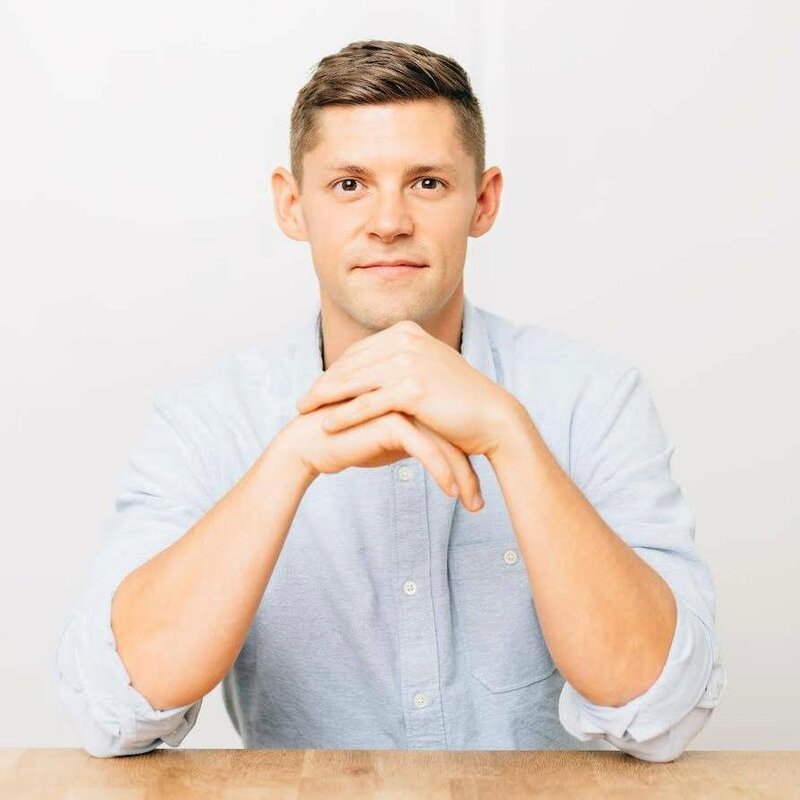 You’re better off using a healthier alternative like almond butter or Perfect Keto Nut Butter, which has a mix of macadamia and cashew butter along with coconut butter and MCT oil. This will add delicious flavor and good fats to your baked treats over carbs and sugar. You may be used to dumping nuts, dried fruit, and chocolate chips into your cookie dough, but these all add up when it comes to your daily macros. Even healthy ingredients in excess will quickly increase the total carbs for each cookie. So if your recipe doesn’t include macros for each serving, use an app like MyFitnessPal to plug in your ingredients and calculate the carb cost for each cookie. When you’re ready to bake, follow these best practices for the tastiest keto cookies. Baking recipes can be tricky, so it’s best to read all the recipe notes and to check the recipe rating before you start measuring and mixing. First, preheat oven to your recipe’s temperature. Then line a baking sheet or cookie sheet with parchment paper. This will make the cookies less likely to stick to the pan and will prevent browning or burning the bottom of your cookies like aluminum foil tends to do. Plus, it’s easy cleanup for you. Next, separate your dry ingredients from your wet ingredients in two large bowls. When it’s time to make your cookie dough, you’ll combine these two. Portion out your cookie dough using a tablespoon or ice cream scoop to make sure they’re all uniform. This will help them cook evenly and ensure your macros are the same for each of them. With this cheat sheet for creating sugar-free cookies now in your keto toolbelt, you’re ready to whip up a fresh batch without derailing all your hard work. And these classic recipes turned keto are the easiest to start with. If you want a true-to-the-original chocolate chip cookie, these soft and chewy keto cookies are for you. 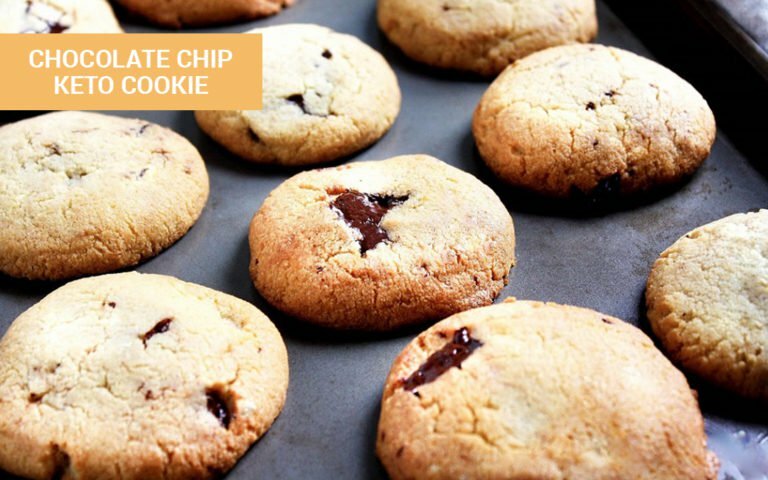 Healthy ingredients such as coconut oil, grass-fed butter, and almond flour will give you the same great texture and taste you’re craving from traditional chocolate chip cookies for less than 2g of net carbs per serving. And since this recipe calls for real cacao instead of sugar-packed chocolate chips, you’ll have a cookie bursting with added health benefits like magnesium, manganese, and copper. The next low-carb and gluten-free cookie recipe is another that’s almost identical to the original. Did you ever think you’d find a low-carb cookie with a sugar-free glaze that’s also dairy-, gluten-, grain-, and nut-free? 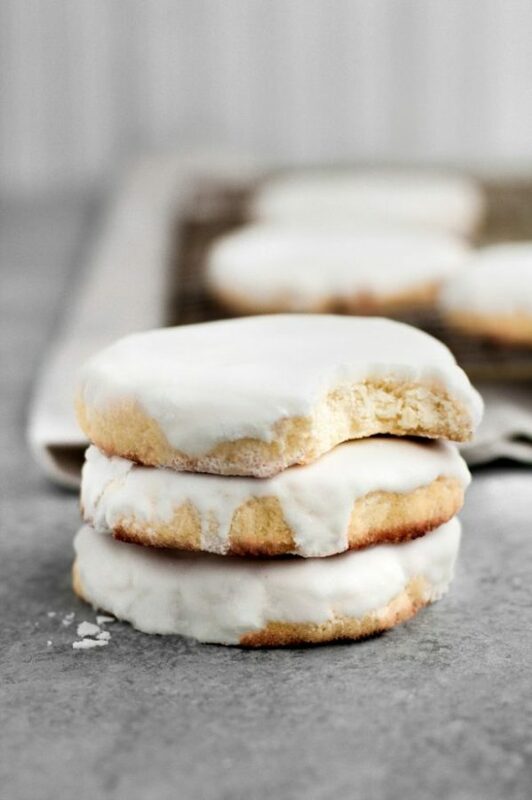 That’s exactly why this low-carb glazed sugar cookie recipe is so special: it’s uniquely healthy despite its close resemblance and taste to an iced sugar cookie. So to make this keto version, you’ll need coconut oil and coconut flour, plus monk fruit sweetener to replace the refined sugar found in traditional sugar cookie recipes. One of these sugar cookies will only cost you 3.2g of net carbs, which you can’t say about store-bought ones. Now, if you prefer chocolate and peanut butter over iced sugar cookies, try this next low-carb cookie recipe. The classic flavor combination of chocolate and peanut butter is hard to turn down — and incredibly easy to make low-carb. 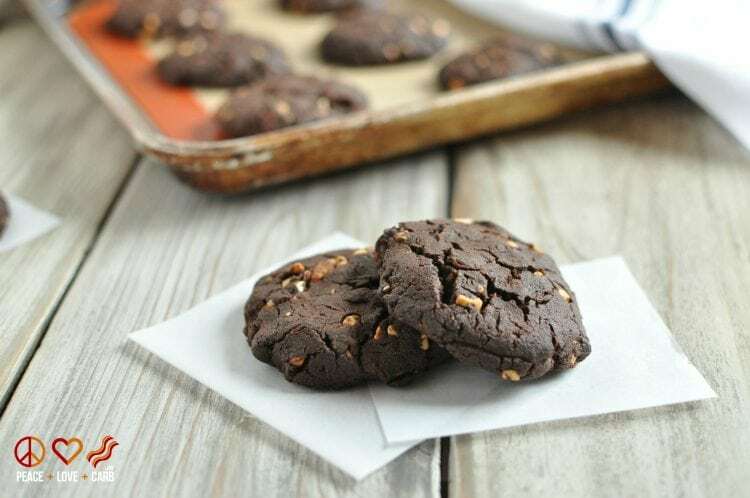 You can keep everything about this chocolate peanut butter cookie recipe the same, or you can ditch the peanut butter for a healthier alternative like almond butter or Perfect Keto Nut Butter to make them even better for you and your family. These nut butters also work well as a replacement in this next recipe. Prefer your peanut butter cookies without chocolate? Using just five ingredients, you can easily whip up a batch of these low-carb cookies with peanut butter without forgoing ketosis. Again, you can achieve a similar taste with a better nutritional profile by using Perfect Keto Nut Butter or almond butter rather than sticking with all the carbs and sugar found in peanut butter. 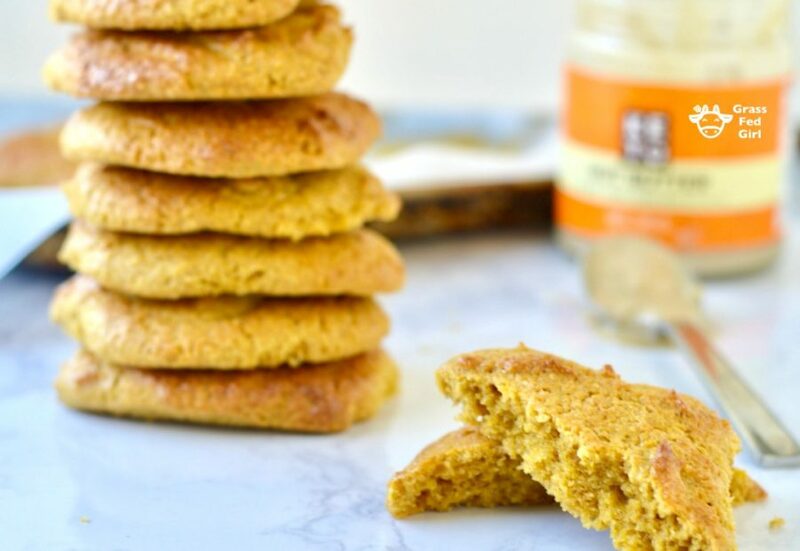 And if you or your kids are craving sweet and spicey snickerdoodles, there’s a keto recipe for them too. It’s not just the cinnamon that makes a snickerdoodle different from a sugar cookie. The difference in both taste and texture actually comes from cream of tartar, which happens to be safe on keto since a teaspoon is only 1.8g of carbs[*]. Divide that amount for an entire batch of cookies and it’s basically nothing for your macros. 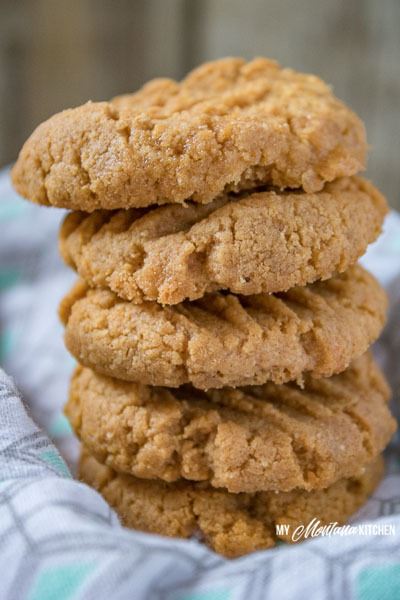 So if you’re hankering for a snickerdoodle cookie specifically, try this keto recipe — which also happens to be gluten-free — and you’ll forget all about the versions you’re used to baking. For another better-than-the-original cookie recipe, check out this next classic revamp. You can also try this chocolate dipped version for a slightly different option that scores bonus points for presentation and decadence. That recipe uses a keto chocolate called Lily’s, which is sweetened with stevia instead of sugar. You can find Lily’s at most grocery stores and online at Amazon. 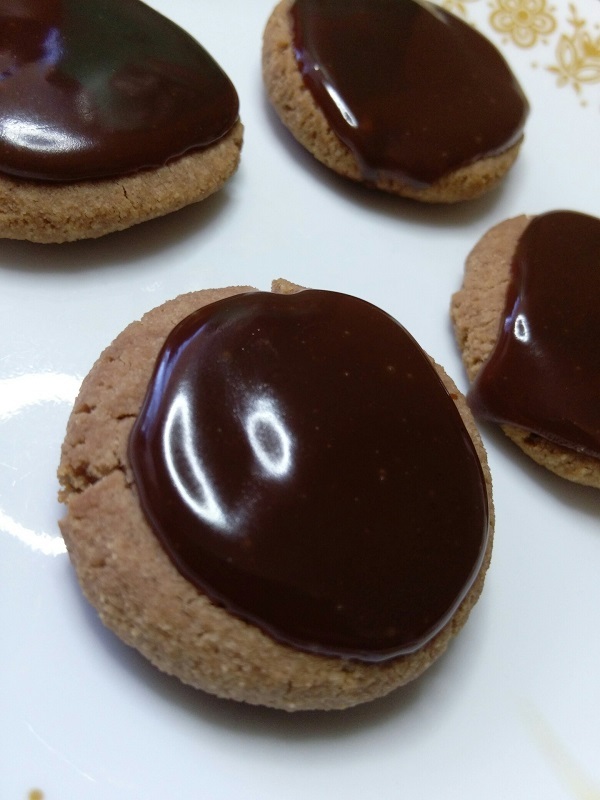 The next keto cookie recipe is just as iconic as the classic shortbread cookie you know and love: thumbprint cookies. Thumbprint cookies are like sugar cookies except you (or your kids) get to create a well for delicious flavor additions by simply pressing your thumb into the cookie batter. 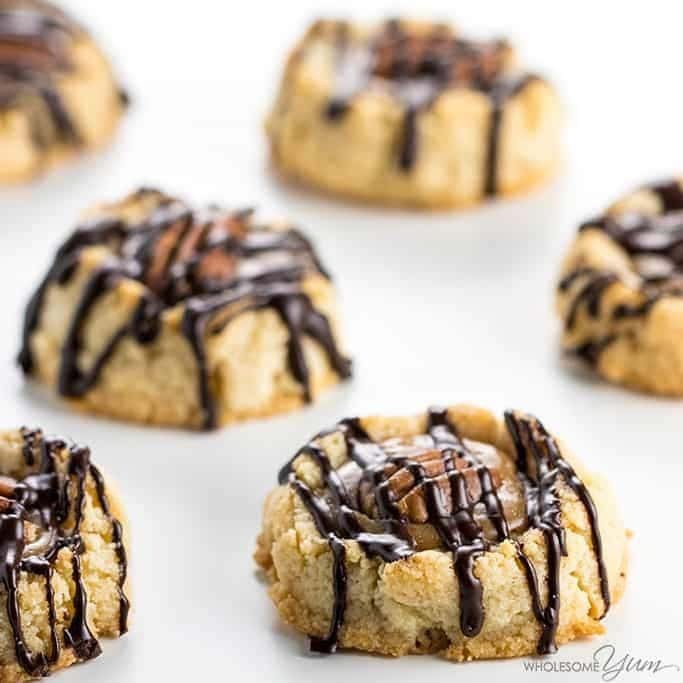 So using a low-carb, gluten-free shortbread base, Maya from Wholesome Yum pours a decadent sugar-free caramel sauce in the thumbprint center and tops this with roasted pecan and a keto chocolate drizzle. That’s how you create these drool-worthy turtle cookies everyone at your next cookie swap will be fighting over. While it looks like an off-limits treat on the outside, in reality, it’s the perfect way to enjoy a sweet cookie without kicking yourself out of ketosis. The next cookie knockoff shares this same trait. These low-carb keto Oreo cookies don’t look identical to the real thing — but that’s only because they’re a better, bigger version. Crunchy on the outside with a soft, creamy filling, one entire low-carb sandwich cookie will only set you back 2g of net carbs as compared to the 8.1g found in real Oreos[*]. Although hard to believe, the creamy center in this recipe doesn’t contain any sugar. It’s made with coconut butter, stevia (or monk fruit), vanilla extract, and grass-fed butter. These filling ingredients are why each cookie sandwich contains 13.6g of total fat and 5.7g of healthy saturated fat. Spend the extra time baking a batch of these when you or your kids want Oreos and you won’t regret it. 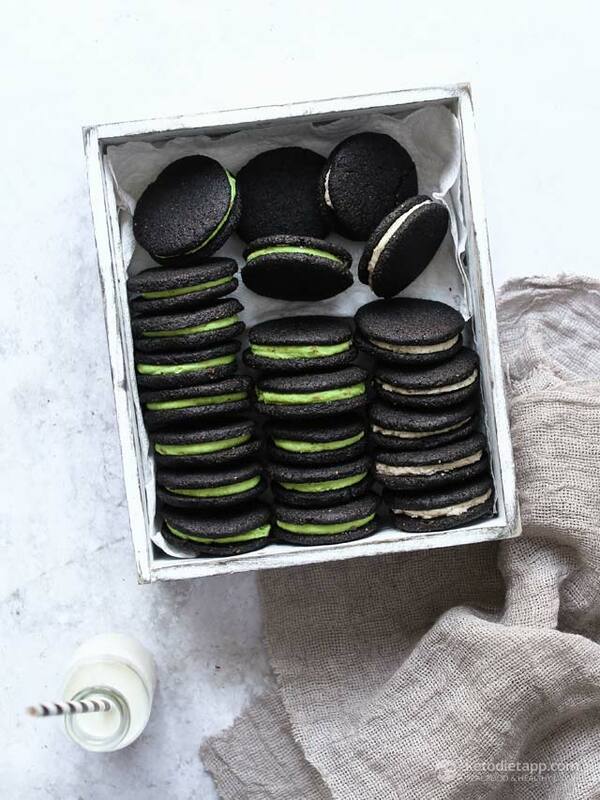 And if you want to make these copycat keto Oreos extra special, swap out the filling for keto ice cream to make vanilla or mint ice cream cookie sandwiches. Up next you’ll find another copycat keto cookie recipe for when your sweet tooth strikes. Sadly, the Girl Scouts of America have yet to create low-carb cookies to bring directly to your door. Fortunately, you don’t have to settle for a cookie that will spike your blood sugar and kick you out of keto. 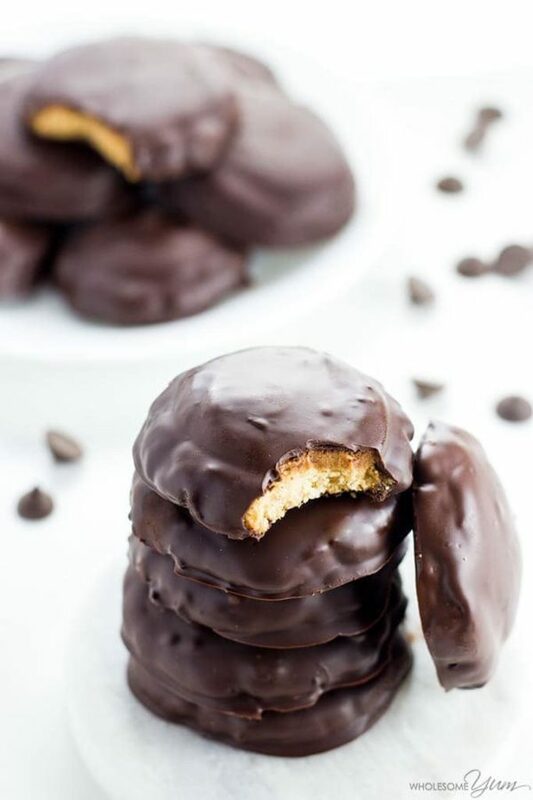 This recipe for low-carb and gluten-free Tagalongs is the knockoff you need if you’re jonesing for a sugar cookie topped with peanut butter and covered in sweet chocolate. And you don’t have to wait till it’s Girl Scout cookie season to have them anytime you want. The next keto recipe is another popular cookie knockoff to help you keep cravings at bay. It’s hard to resist a soft, fresh-baked white chocolate macadamia nut cookie. But you can fake the same flavors using Perfect Keto Nut Butter in your batter. The vanilla bean and macadamia nuts in Perfect Keto Nut Butter will give you the same great taste combination you’re looking for without all the sugar. So feed your craving for this chocolate-free classic with this low-carb recipe from Grass-Fed Girl. The next keto cookie recipe also updates a classic by keeping the flavors intact and swapping out high-carb ingredients like all-purpose flour for almond meal. 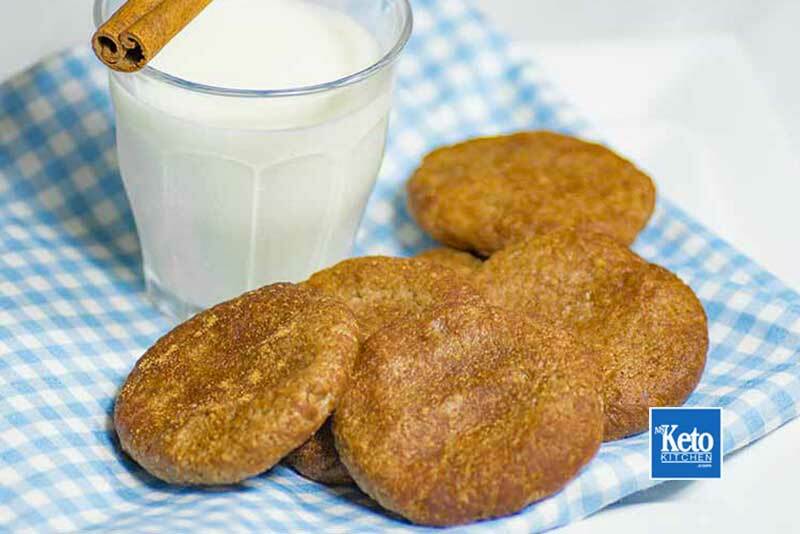 If you love the flavor of ginger paired with spices like cloves, cinnamon, and nutmeg typical of a classic gingersnap cookie, you’ll adore this low-carb gingersnap recipe. With just 18 minutes of cook time and 1.2g of net carbs per cookie, you’ll make room in your hectic schedule to bake a batch of these anytime. This next keto cookie is perfect if you have an egg allergy or sensitivities. If you’re searching for a low-carb cookie that’s also gluten- and egg-free, this coconut flour recipe has your name on it. With just four ingredients, you can still indulge in a sweet treat while you take a break from potential trigger foods and work on healing your gut. To keep this coconut train going, the next recipe transforms a classic meringue cookie without losing any of the flavor. Despite being so light in texture, most recipes for meringue cookies have loads of sugar. This makes them out of reach on a keto diet. Unless you swap out the sugar for a low-carb sugar alternative. 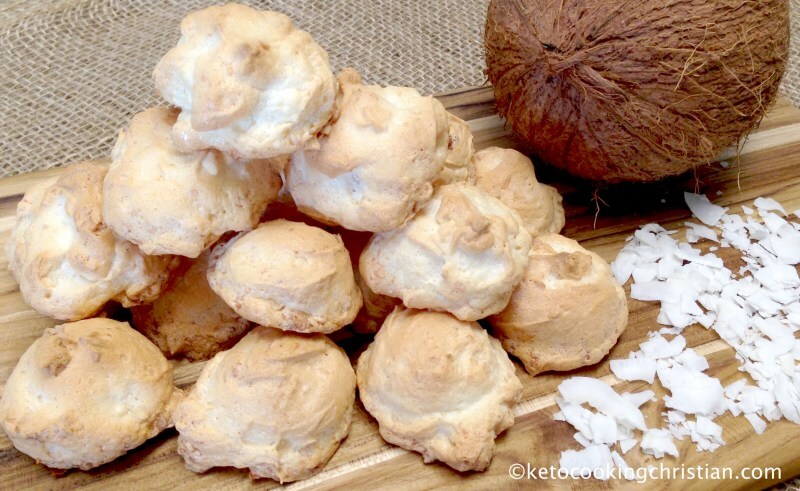 Using powdered monk fruit (in this case stevia confectioners blend), Keto Cooking Christian created a recipe for coconut meringue cookies with shredded coconut and both vanilla and coconut extracts. They’re bursting with flavor without all the sugar in a traditional meringue — and they’re only 33 calories each. 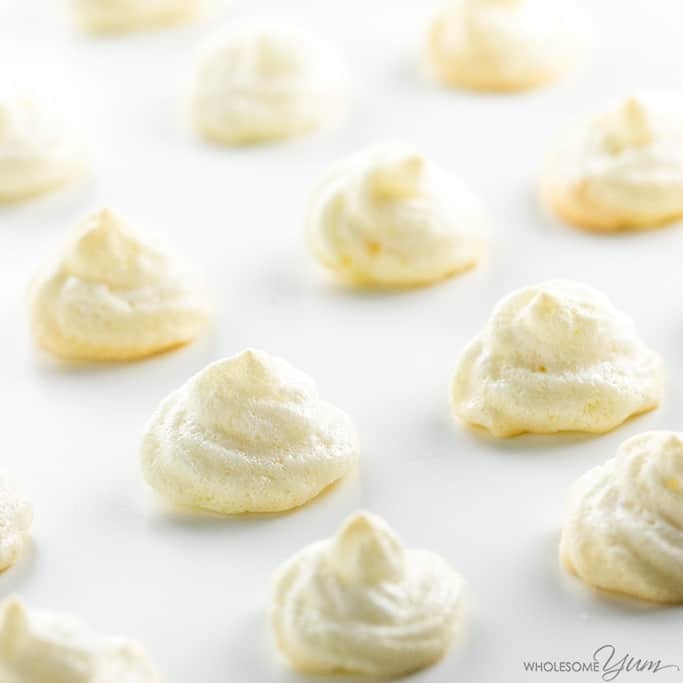 And if you need an even easier recipe, this one for sugar-free lemon meringue cookies only requires four ingredients. While these classics make recreating your favorite cookies easy on a low-carb diet, this next set will inspire you to break away from the standard cookie lineup. If you have your doubts about making keto versions of popular cookies, you don’t have to settle for swaps and knockoffs. 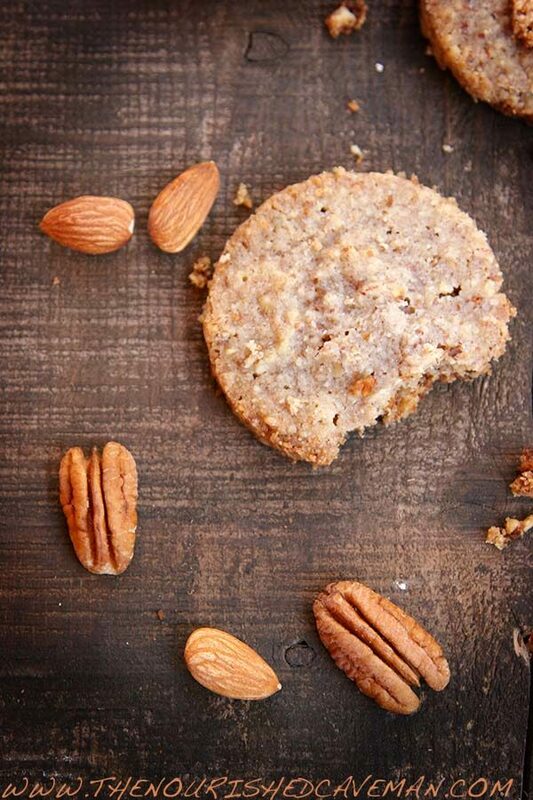 When a plain shortbread cookie sounds too simple, reach for this low-carb, keto-friendly pecan almond shortbread cookie recipe. The recipe is just as easy as the original one — especially since there are only five simple ingredients almost every pantry has stocked — yet the flavor is much more pronounced. 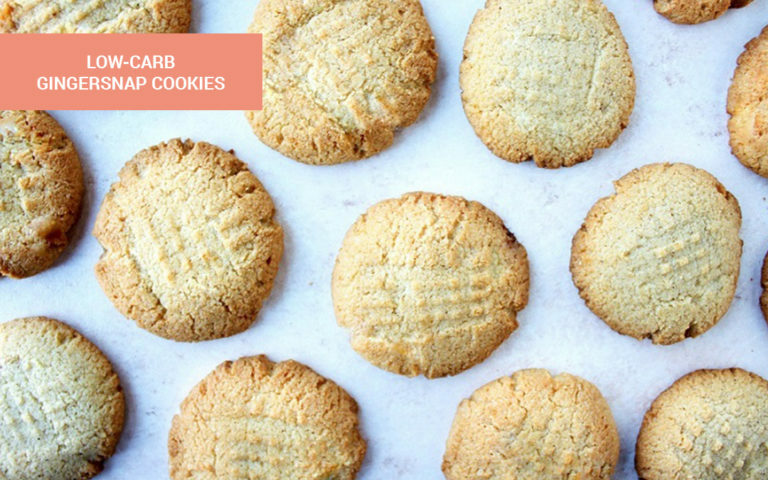 Try them today and you won’t want another plain shortbread cookie again. And if you’re not feeling pecan and almond vibes, check out this next recipe with a similar sugar cookie base using coconut. 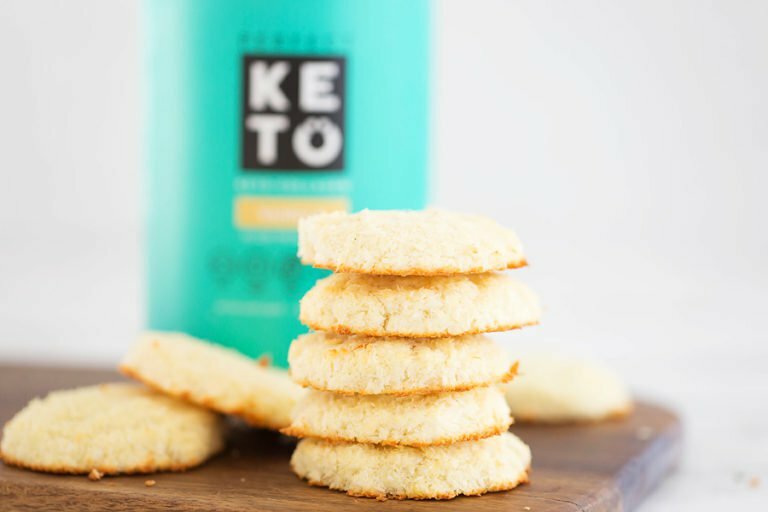 On the surface, these chewy keto coconut flour cookies may look like any other sugar or shortbread cookie on this list, but there’s a secret ingredient you’re going to love: MCT Oil Powder. So each cookie doesn’t just satisfy your sweet tooth, it can help keep you feeling full and keep you in ketosis. How many cookies can say that? The next low-carb cookie recipe also boasts plenty of healthy fats. 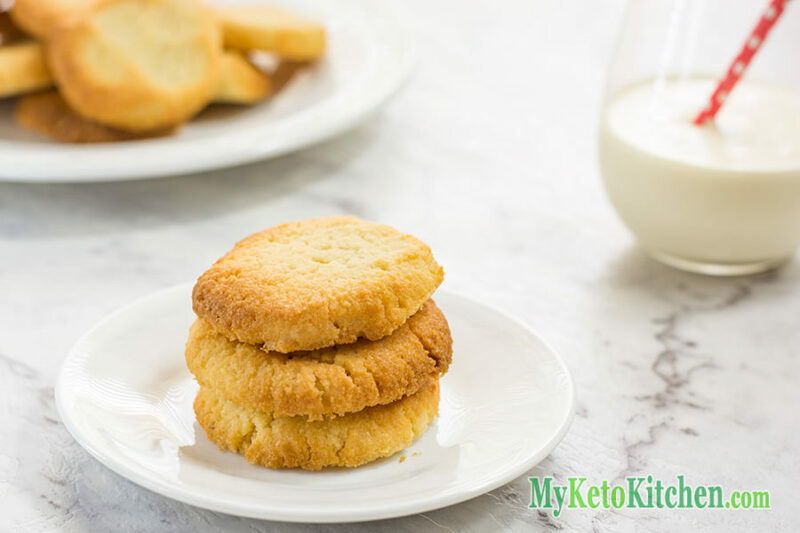 This buttery coconut vanilla keto cookie recipe is loaded with MCTs and gut-healing amino acids from Perfect Keto Grass-Fed Collagen. And it does all this without affecting your blood glucose levels, something many protein powders can’t do. While each cookie doesn’t contain enough protein to replace your post-workout shake, they can be a wonderful afternoon treat to satisfy sweet cravings without wrecking your blood sugar levels. The next keto cookie shares similar macros and has a slightly sweeter taste. Missing tangy, buttery lemon cookies? 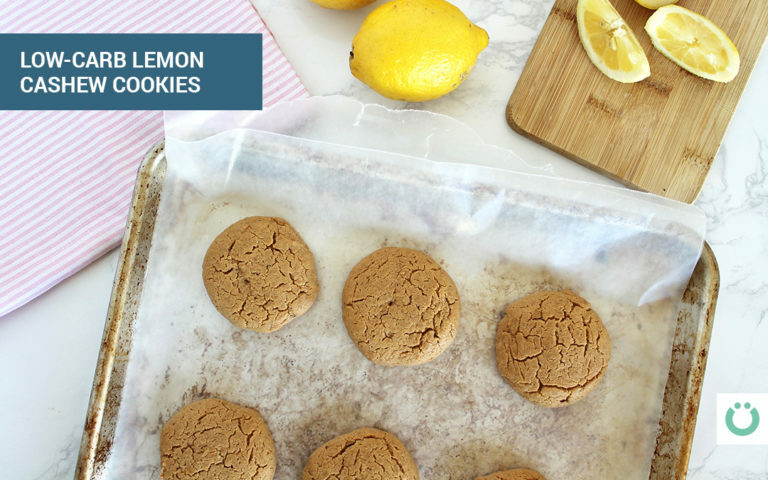 The flavor combo of refreshing lemon and cashew butter in these low-carb lemon cashew cookies will put those cravings to bed. Thanks to the cashew butter, each cookie is like eating a fat bomb worth 9g of fat. Plus, the extra bit of lemon flavor may be enough to give you a nice, energizing boost no matter what time of day you’re snacking. The next cookies require a bit more prep time, but they’re bursting with just as much flavor (if not more). 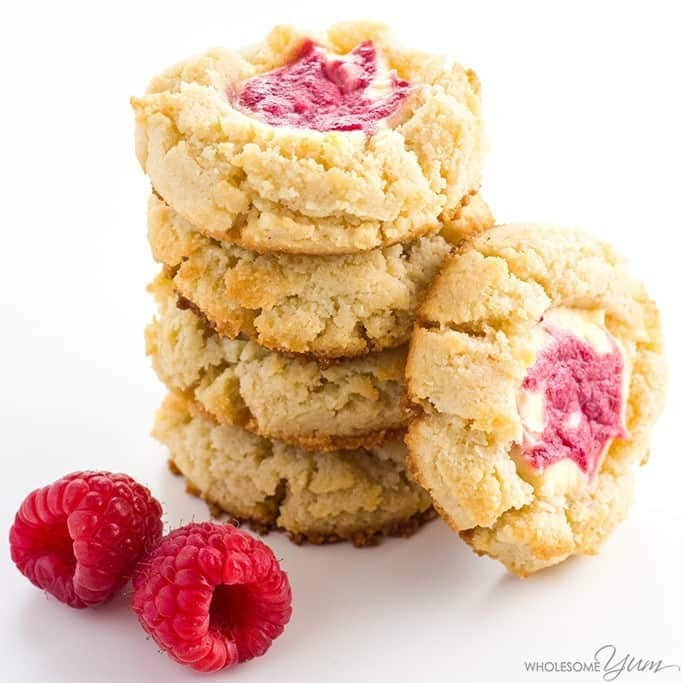 If you’ve ever wanted to make your favorite low-carb cheesecake into a keto cookie, this recipe for low-carb raspberry cheesecake cookies makes that wish a reality. With a few smart swaps, you’ll have a poppable, easily shareable, and portion-controlled alternative to squeezing a whole slice of raspberry cheesecake into your daily macros. They’re beautiful enough for cookie swaps and parties, and so easy you can whip them up on a regular weeknight. The next recipe also transforms a high-carb dessert into a keto-friendly cookie. You probably already know you can satisfy your craving for homemade cinnamon rolls on a ketogenic diet. But these gooey, delicious treats aren’t easy to make for a crowd or to take on-the-go. Cue these low-carb cinnamon swirl cookies. Cinnamon swirl cookies look like their cinnamon roll cousins — except they’re much easier to snack on without a fork and napkin. 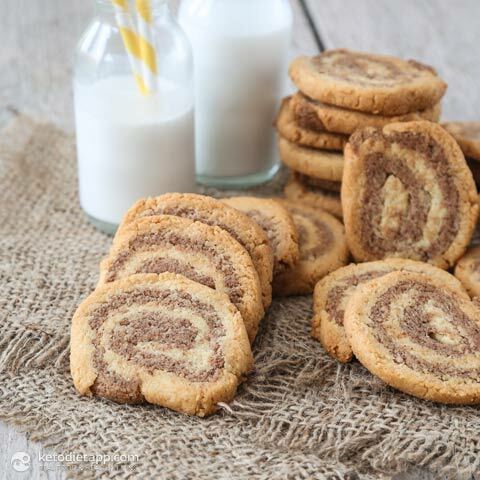 You even make them in a similar way — by rolling out the cookie dough mix, layering the cinnamon filling over the top, rolling it into a log, and slicing it up to bake. Each cookie is less than 2g of net carbs. And with a batch of 20 cookies, you’ll have more than enough to share or keep for yourself. 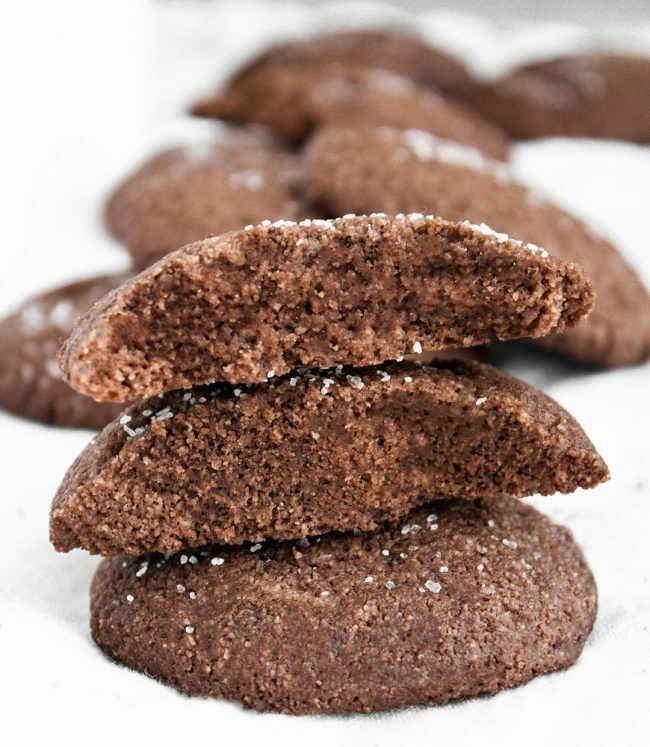 Salt enhances the deep, velvety flavor of chocolate, which is what makes these keto chocolate sea salt cookies even more addictive. With a mix of flavors like vanilla, cocoa, sea salt, and sugar-free monk fruit sweetener, these cookies satisfy both sweet and salty cravings. And they taste like a decadent truffle meets brownie meets cookie. The next low-carb cookie recipe is also heavy on the chocolate side. 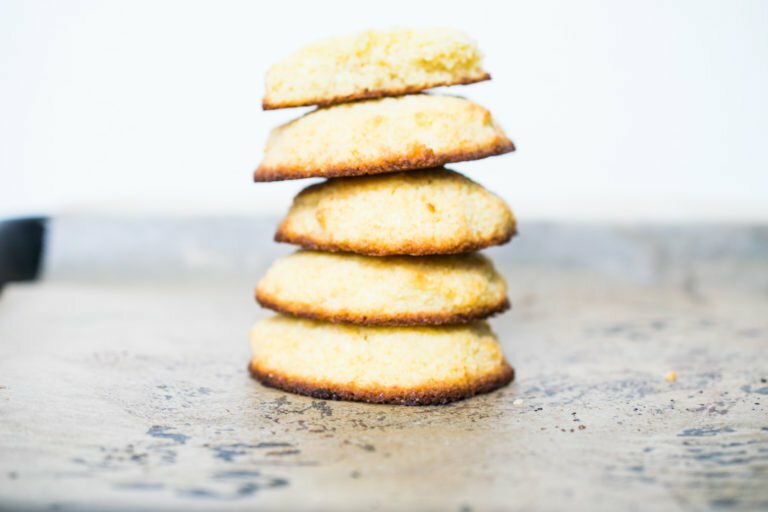 Remember that recipe for buttery coconut vanilla keto cookies mentioned earlier (cookie #3 in this section)? 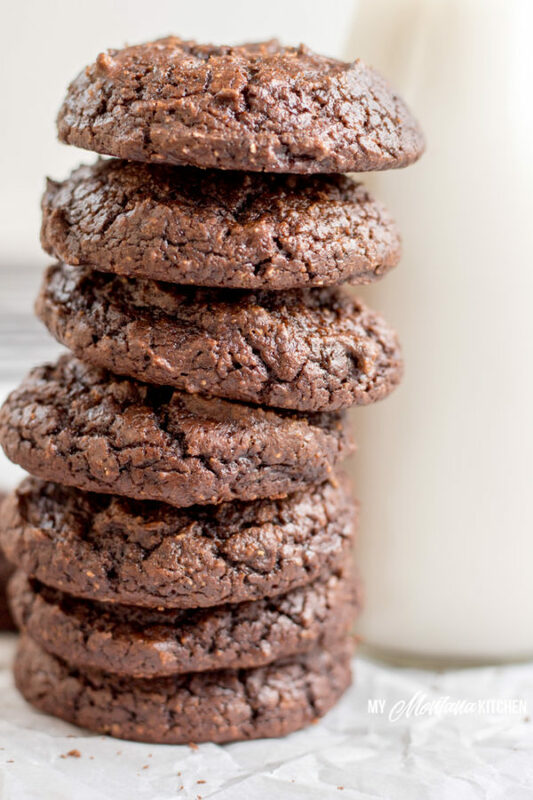 That recipe used vanilla flavored collagen protein, but this recipe for mini chocolate coconut cookies calls for the chocolate flavor. And, as you can see from the picture, this recipe also adds a sugar-free frosting layer using keto-friendly dark chocolate chips (or any other sugar-free chocolate chips) and heavy cream. That really is the icing on the cookie cake. The next keto cookie recipe gets inspiration from another cake — and it even tastes more like a cake than a cookie with the addition of frosting. 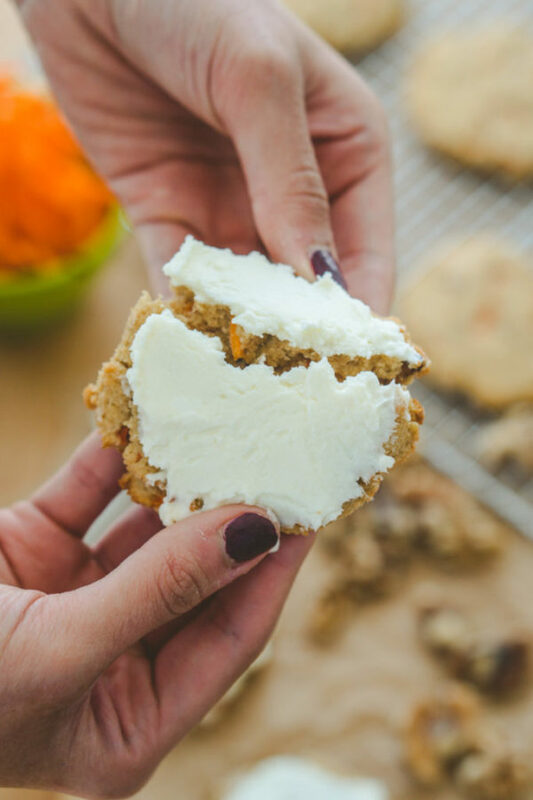 This keto carrot cake cookie recipe is a replica of classic carrot cake. With real shredded carrot and that signature cream cheese icing layer on top, this chunky cookie feels more like a frosted carrot cake and less like a cookie. Looking at the nutrition facts, each cookie totals 113 calories; 10g of fat; 3g of protein; and just 1.4g of net carbs. Those stats are pretty hard to pass up. And that’s exactly how everyone will feel about this next set of keto cookies around the holidays. For cookies to celebrate the fall and winter seasons, these five recipes bring all the warm flavors you expect — like pumpkin and gingerbread — while leaving the carbs and sugar behind. And no one says you have to wait for the holiday season to make them. Check out this first easy and low-carb recipe any time of year you’re craving pumpkin and spice. 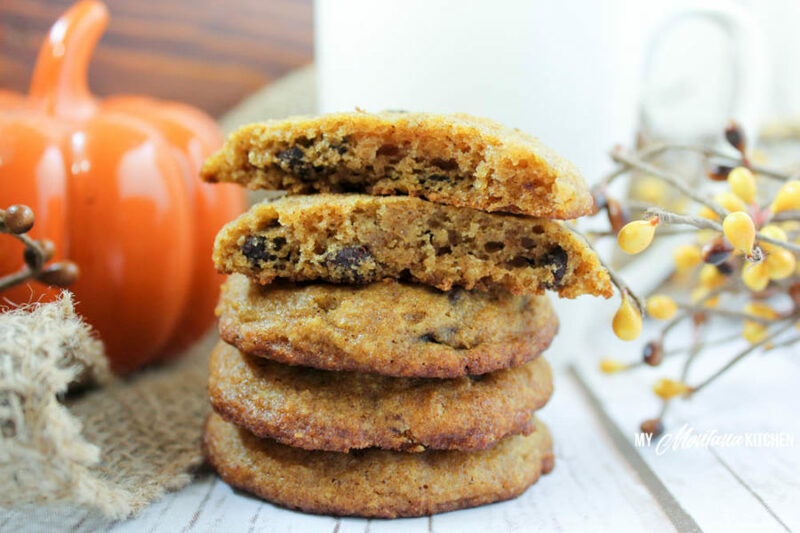 When pumpkin-flavored everything season rolls around, you can easily say no to sugar-laden temptations by making a batch of these pumpkin keto chocolate chip cookies. And if you want your cookie to have a little more spice, try this pumpkin spice keto chocolate chip recipe instead. The next three keto cookies are ideal for the transition from autumn’s pumpkin season to winter. 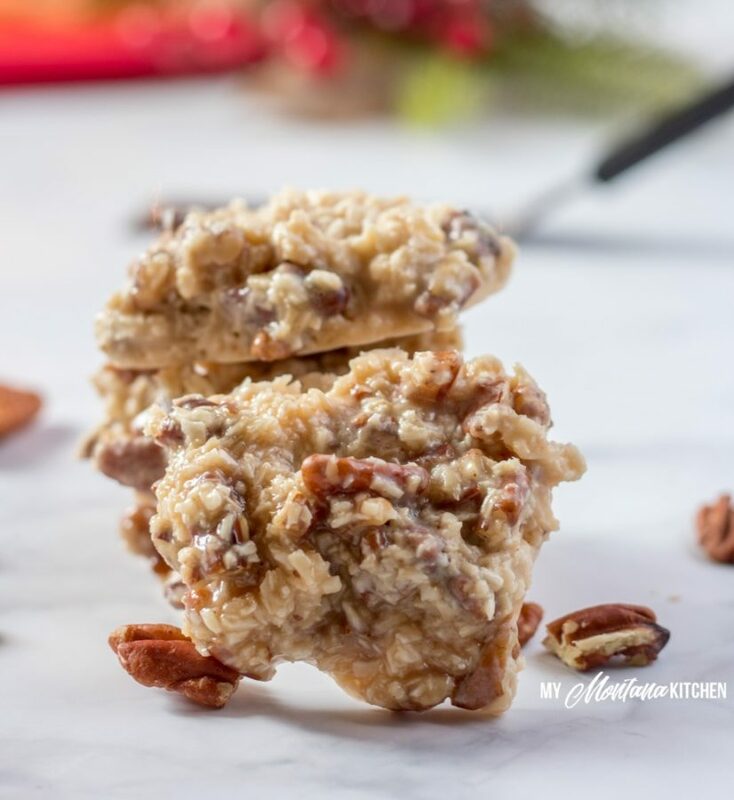 If you’re short on time during the holiday season and in charge of desserts for your next party, this praline no-bake cookie fits the bill. It only requires seven common ingredients you probably already have. And since you don’t have to turn on the oven, it’s a kid-friendly recipe too. Another cookie recipe you can get the whole family involved in around the holidays is a classic keto gingerbread cookie. 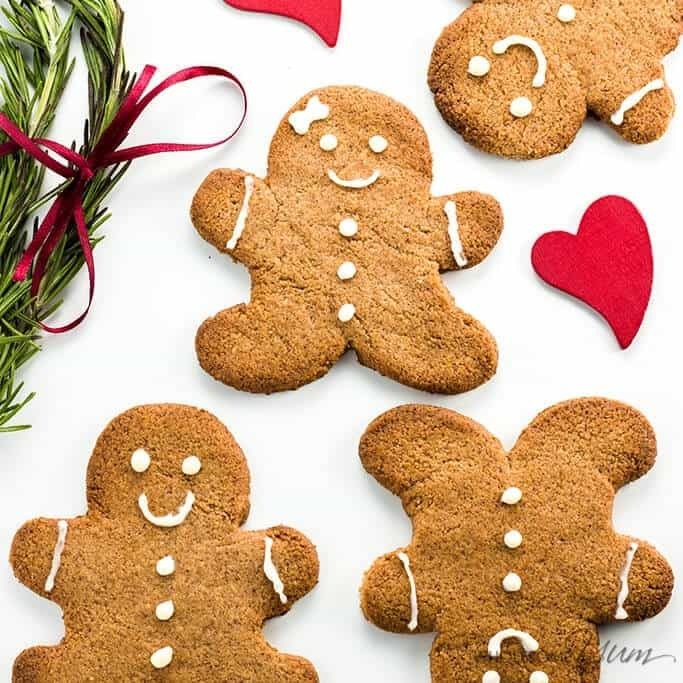 You may be happily surprised to know you can transform traditional gingerbread cookies into low-carb, sugar-free versions your whole family will love. 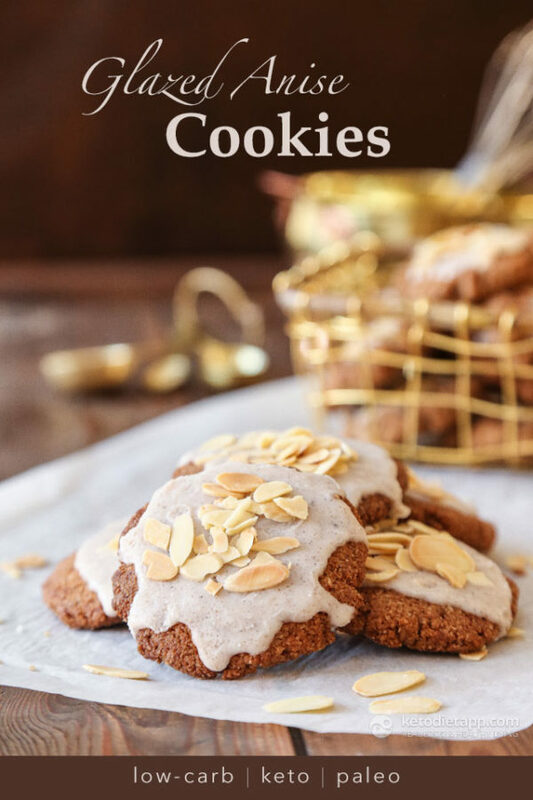 Classic gingerbread: This sugar-free gingerbread cookie recipe uses almond flour and a handful of seasonal spices to create the cookies pictured above. A thicker cookie: For a thicker cookie, try this keto gingerbread cookie recipe, which uses almond butter and coconut flour to form the cookie dough. Nut-free option: If you’re looking for nut-free gingerbread cookies, this keto cookie recipe is your best match. You can easily find this next holiday favorite in coffee shops when the weather gets cooler. But unlike the traditional options, this one is keto-approved and gluten-free. If you’re someone who loves to dunk a nice, crisp biscotti in your keto coffee, you don’t have to give up your cozy ritual just because store-bought versions are too high in carbs. 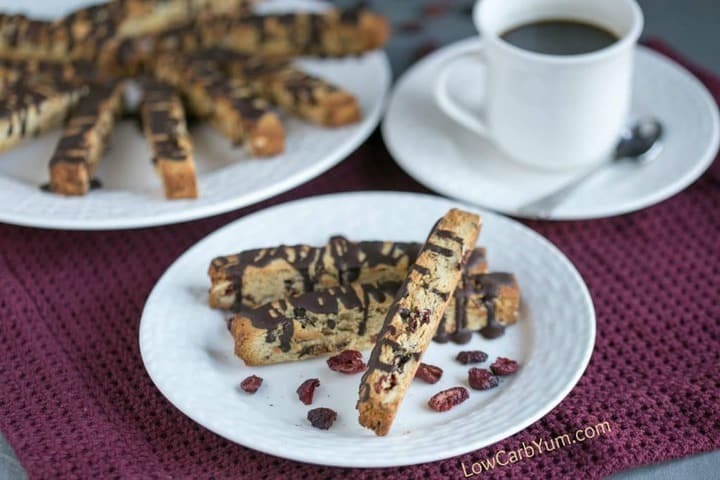 The taste and crunchy texture of these gluten-free, low-carb cranberry almond biscotti are just as good as the ones you’re used to. The big difference is that your coffee and cookie combo won’t leave you craving more sugar afterward since this recipe only contains 1g of sugar and 3g of net carbs, according to the nutrition facts. Another key difference is their macro breakdown — each biscotti cookie boasts 9g of fat and 5g of protein, which will keep you feeling full and satisfied. 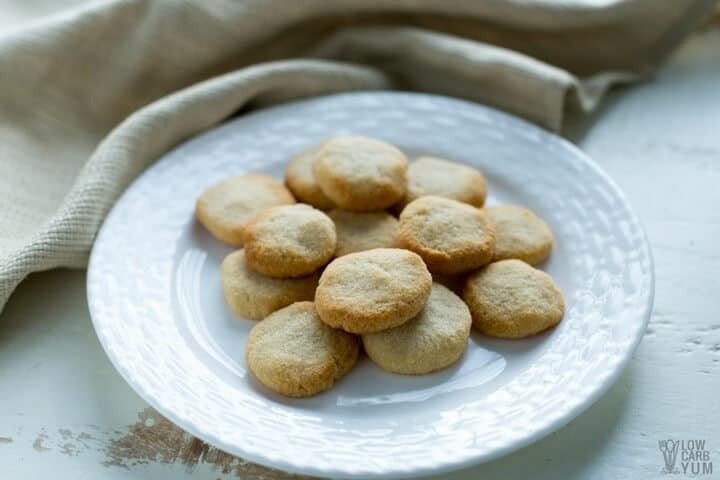 You can get most anisette or anise cookies in Italian or European specialty stores. They’re traditionally eaten around the holidays, but Italians like their anise-flavored sweets year-round. Now you can have the same taste and texture, but completely low-carb and sugar-free. Make these cookies on their own or add the traditional icing on top for an extra treat. Who isn’t a fan of bacon? This salty, fatty meat is like candy for many beginners on a ketogenic diet and winds up in recipes for everything from Brussel sprouts and breakfast casseroles to afternoon snacks. But you may not have thought to add bacon to your keto cookies. Chocolate and peanut butter is a classic combo. Peanut butter and bacon, another familiar pair. But have you ever had chocolate peanut butter bacon cookies? After making them, you’ll quickly see this trifecta was meant to be the whole time. Don’t forget to sub the peanut butter in this recipe for almond butter or Perfect Keto Nut Butter so you’re not getting the negative side effects of eating peanut butter. 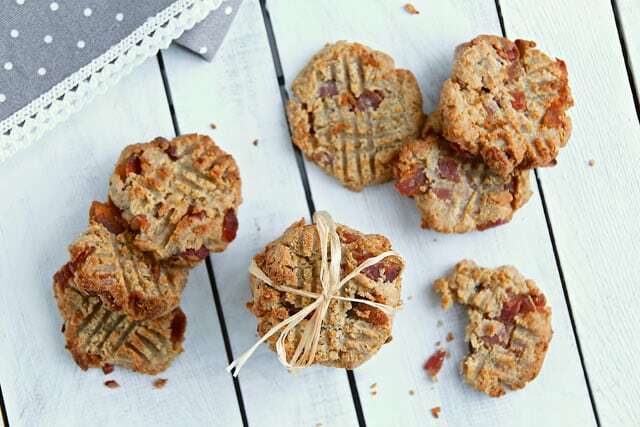 And for an even bigger twist, check out this next keto cookie recipe with bacon. If you love caramelizing onions in bacon fat, these savory and sweet bacon onion cookies may be right up your alley. While you won’t have to caramelize onions to add to this recipe, you will need to break up four cooked slices of bacon. These are the perfect treat for a Sunday brunch or to snack on with your morning keto coffee. With all these keto cookie options to choose from, the next decision may be the hardest. Which Keto Cookie Recipe Will You Try First? Now that you have these 29 easy recipes, you can whip up a batch of freshly made keto cookies anytime a craving strikes. You can also easily multiply batches to make cookies for parties, cookie swaps, holiday gatherings, and more. If you’re new to cookie making, start with the classic cookie recipes first since you’ll have a better idea of what they’re supposed to taste like. As you gain more confidence and dabble in new keto cookie flavors to wow your taste buds, you’ll never feel like you’re stuck eating the same foods on your low-carb diet again. Don’t forget to save this guide so you can bake keto holiday cookies when the seasons change. Then you can stay in ketosis and enjoy your favorite desserts. Head over to our private Facebook group to share your pictures and cookie baking experience with us. We’d love to see how your recipes turned out!